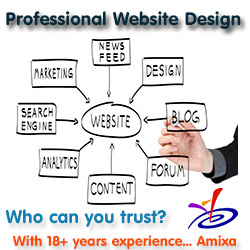 Opportunity comes first this time because it actually is more interesting. 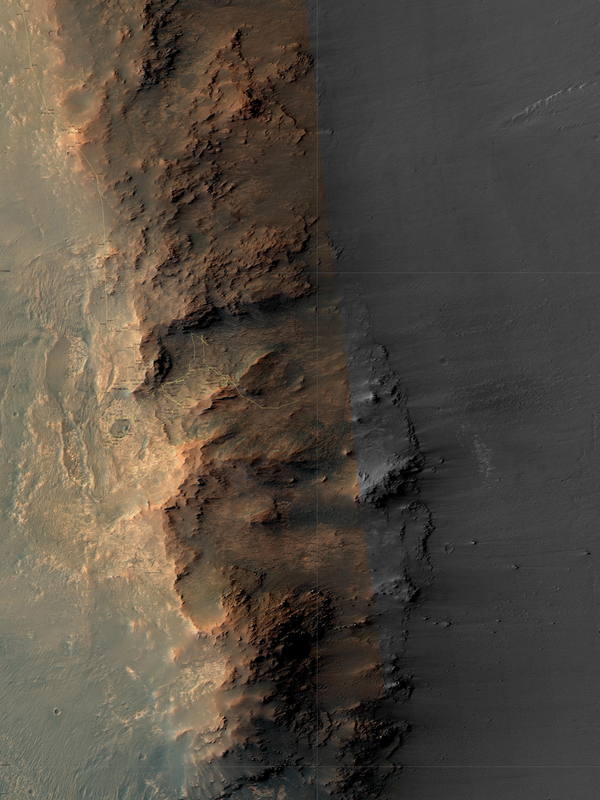 Having several choices on where to head, the Opportunity science team this week chose took what looks like the most daring route, heading almost due east towards the floor of Endeavour Crater. In fact, a review of their route and the images that the rover continues to take suggests that the panorama I created last week looked almost due east, not to the southeast as I had guessed. I have amended the most recent overhead traverse image, cropped and reduced below, to show what I now think that panorama was showing. I will readily admit that I am unsure about this. The panorama appears to show four mounds, so that is what I am including. Because it is difficult to judge scale in these images (no scale bar is provided), I think I have been misjudging distances and mound sizes. The panorama shows objects that are farther away and look larger in the overhead traverse image. 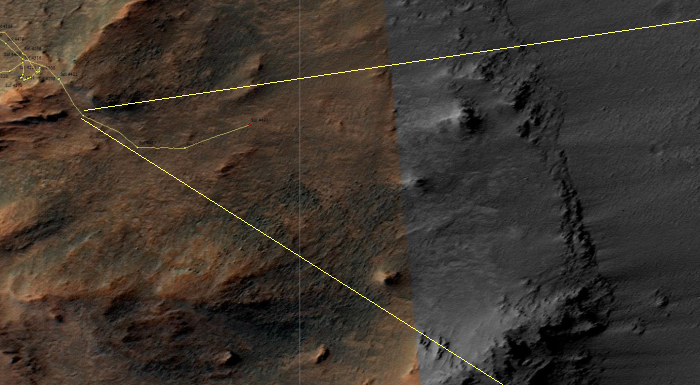 This traverse map only shows us the rover’s travels through Sol 4493. The most recent images from Opportunity are dated Sol 4499. During that Martian week it appears the rover has crept closer to the brighter of the two mounds on the hillside before it. Below is a panorama I have created from images taken on Sol 4498, showing this. I have not indicated on the traverse map what this panorama is seeing because I am not sure which mound it is aimed at. I suspect it is second mound from the bottom, but until we have more information on the rover’s actual route since Sol 4493 it is hard to tell. What I can say without doubt is that the rover science team has now taken Opportunity much farther into Endeavour Crater than they had during their exploration of Marathon Valley. I now suspect that they want to explore the region up to the cliff face to the east, which would put them at the inside edge of the crater’s rim and give them ample opportunities (no pun intended) to compare it to the already studied outside edge. Since last week’s update Curiosity has remained positioned near the southernmost butte of the Murray Buttes area. They have been attempting to drill into a bright feature at the base of this butte, but have had drill issues. The first drill attempt “did not complete as expected.” The second drill attempt completed the drill hole, but then there “was a timing issue during sample manipulation.” (See this page for these updates.) None of these issues appear to be serious technical problems, merely the day-to-day challenges of drilling holes remotely with a robot on another planet millions of miles away. It would be nice however if the scientists making the reports could be clearer about what they mean. 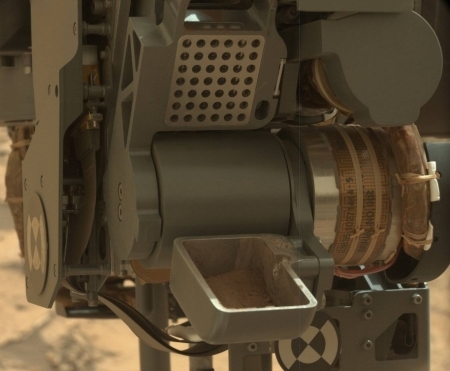 The image on the right, cropped and reduced, provides a nice view of Curiosity’s sampling capture system, including its sieve used to sift out the right sized samples. Good to see Opportunity heading into the crater.